Cate Blanchett stars in "MANIFESTO," a cinematic installation by German artist and filmmaker Julian Rosefeldt opening December 7 at the Park Avenue Armory (643 Park Avenue). The work uses the texts from 20th century artists and theorists (Andre Breton, Jim Jarmusch, Sol LeWitt etc.) for monologues by 13 characters, all embodied by Blanchett. On view through January 8, 2017. Tickets ($20) are HERE. Blanchett also appears in a short film called RED by Del Kathryn Barton that will be in the Australian artist's first solo show in the US, opening June 1st at NYC's Albertz Benda Gallery. 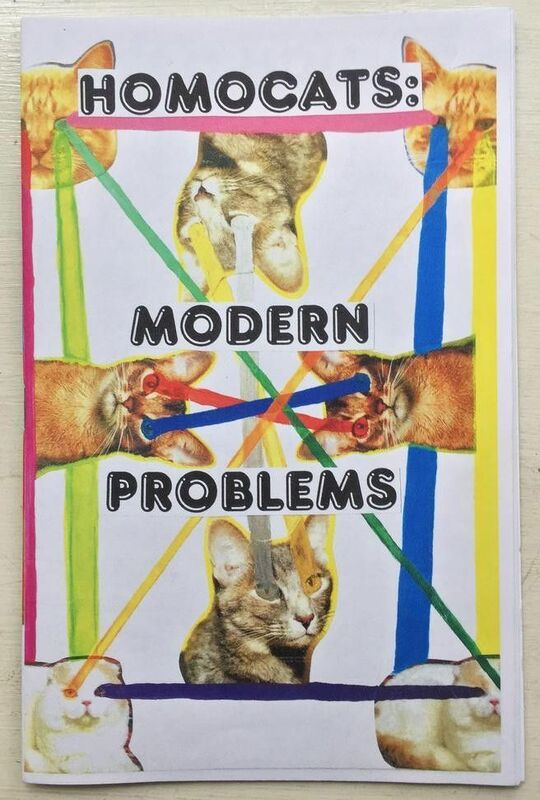 Printed Matter (231 11th Avenue) hosts the launch party for Brooklyn artist J. Morrison's "Homocats: Kittens Against Trump" — "a new mini collection created in response to the aftermath of the U.S. election" — on Saturday, December 10, 5 to 7 p.m. PM also has a book launch for "Rivington School: 80s New York Underground" on December 7, 5 to 7 p.m.
Be sure to check out the current "Henry Chalfant: 1980" show at Eric Firestone's Loft (4 Great Jones Street) up through January 21, 2017. Chalfant's photos of graffiti-covered subway cars capture another unsettled era in NYC. On Thursday, December 8, 6 to 8 p.m., there's a panel discussion moderated by PAPER's Carlo McCormick that includes Chalfant, Glenn O'Brien, Charlie Ahearn and Lee Quinones. 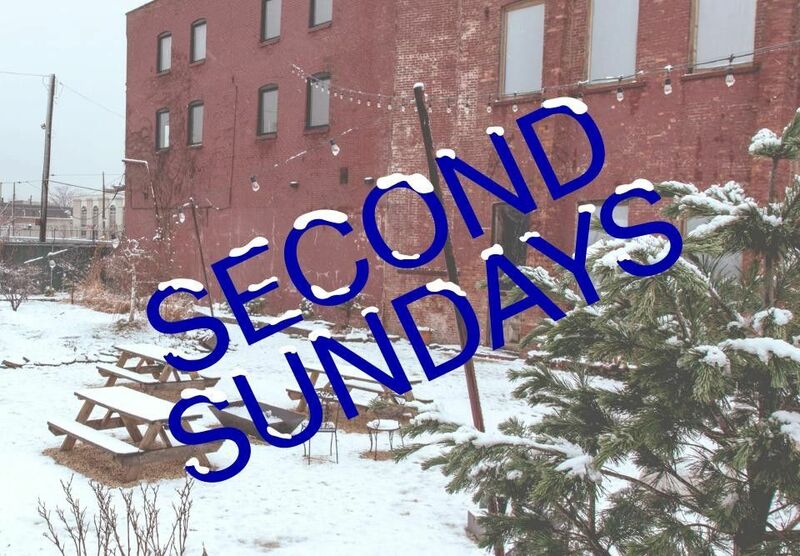 December 11th is Pioneer Works' "Second Sunday" monthly open house featuring the ongoing exhibition "Cars, Buses & Trains" by Chase Ferguson; Gonzalo Guerrero's exhibition "Primary Interactions," illustrating his experiences as an immigrant in New York; music by Matt Bauder's organ, drums and sax trio Hearing Things at 7 p.m.; and the Raya Brass Band at 8:30. The Kitchen (512 West 19th Street) has a FREE "Mixtape Exchange" on Saturday, December 10, from 7 to 9 p.m. Make a mix and bring it on any format (cassette, CD, thumb drive etc.) to trade with somebody groovy. Steve Reker hosts and also DJs. Tal Yarden's "Counting Sheep" is the current Midnight Moment on view through December 30, 11:57 to midnight daily, on electronic billboards and newspaper kiosks in Times Square. The NYC-based cinematographer and designer will be in Duffy Square at Broadway and 46th Street on December 7, 11:30 p.m., for a meet-and-greet. 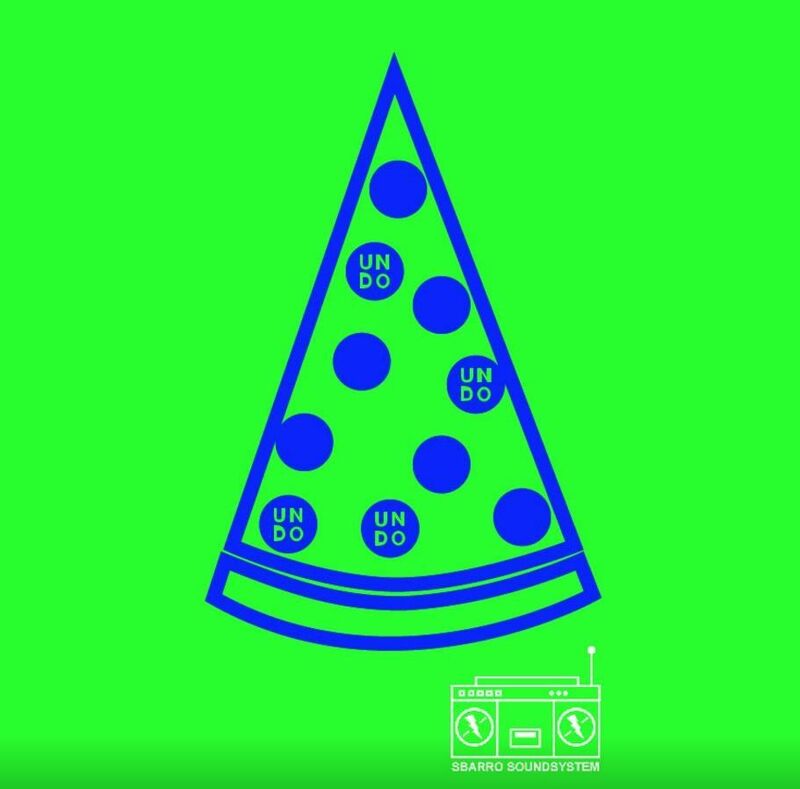 UnionDocs Center for Documentary Art (322 Union Avenue, Williamsburg) has a holiday "COLD PIZZA" party on December 10, 10 p.m. to 2 a.m., and admission is FREE w/donations welcome. Music by Sbarro Soundsystem DJS. UnionDocs is NYC arts org that presents, produces and publishes non-fiction works. 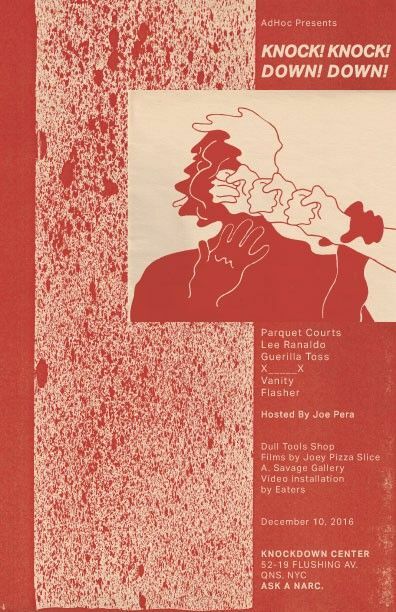 Parquet Courts ends 2016 with big multimedia show at Knockdown Center (52-19 Flushing Avenue, Queens) on December 10, 8 p.m., with comedian Joe Pera hosting and additional music by Lee Ranaldo, Flasher, Vanity and X----X; plus a sound installation by Eaters, artworks by A. Savage, films by JoeyPizza Slice and a Dull Tools record shop. $20 tickets (18+) are HERE. 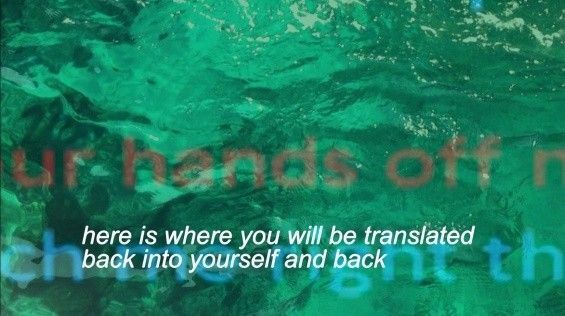 Hannah Black, My Bodies (still), 2014. The New Museum (235 Bowery) and Rhizome present the second edition of their Open Score symposium on Saturday, December 10, 1:30 to 6 p.m. The all-day event explores the current state of art and technology with a program co-organized by Aria Dean, Grace Dunham and Nora Khan that "examines the relationship between blackness and meme culture, the potential of activist platforms that combat social isolation and the gendered and racial dimensions of artificial intelligence." Tickets and more info are HERE. 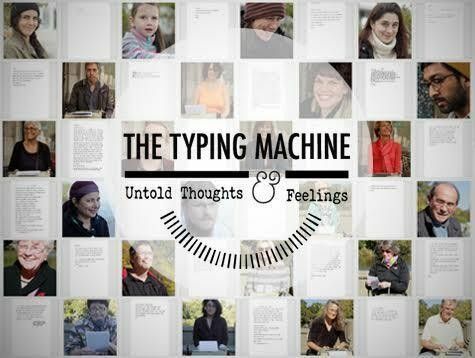 Con Artist Collective & Gallery (119 Ludlow Street) has Diego Romero's "The Typing Machine: Untold Thoughts & Feelings" for three days, December 6,7 and 8, with a reception on Wednesday, 7 to 11 p.m. People are invited to sit and type messages on a mechanical typewriter and then they're archived for the TM blog and showcased in real-world exhibitions. The aim is to "bring people back to a time when writing a letter was a conscious act that required effort and concentration." 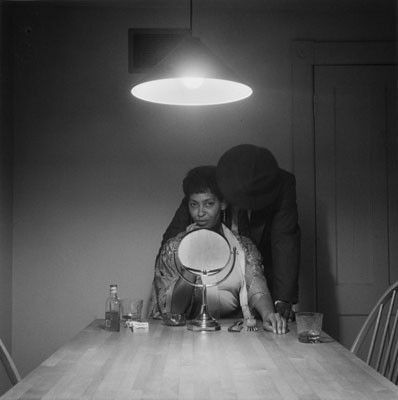 The Greene Space (44 Charlton Street) hosts a talk moderated by WNYC's Rebecca Carroll on Friday, December 9, 7 p.m. with artists Carrie Mae Weems and LaToya Ruby Frazier, and Harvard professor Sarah Lewis. The topic, "Vision and Justice in Racialized America," is part of their "How I Got Over Series." $15 tickets are HERE.